God holds the sea (and every ship on the sea) in the hollow of His hand. 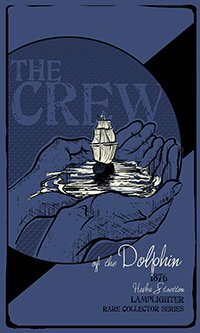 The crew of the Dolphin faces great peril, being swept away in crashing waves and crushing winds. But this is not the fiercest storm they face. The insurmountable surges of greed and deceit are far worse, bringing exposure, disgrace, and ruin. Yet we need not drift or be lost at sea, for God holds the sea in His great strong hand!